Now in its sixth year of operation, Spellbound produces original plays for audiences ages 0-5 and conducts early childhood education programs and community events for families with young children. Spellbound Theatre has performed to sold-out family audiences as a multi-year company-in-residence at the Old Stone House in Park Slope, Brooklyn, and have been 2014-15 and 2016-17 New Victory Theater LabWorks Artists in Residence. Spellbound Theater is the American Alliance for Theater and Education’s 2017 Winifred Ward Zeta Phi Eta Outstanding New Children’s Theater Company Award. In recognition of its innovative work in theatre for young audiences, Spellbound Theatre has received multiple grant awards from The Jim Henson Foundation and The NYC Department of Cultural Affairs (administered by the Brooklyn Arts Council). Spellbound develops quality performing arts for young children through three strands: local family outreach programs, in-school performance and residency programs, and mainstage/national touring performances. Spellbound's ensemble of artists includes storytellers, puppeteers, physical theater performers, musicians, and visual artists, all collaborating to create immersive, engaging, and imaginative worlds for young children and their adults. Spellbound Theater will begin touring their unique performances nationwide in 2018. Spellbound Theatre is a not-for-profit organization and runs on the generous contributions of our supporters. Susanna is a native Swede who spent some time in Paris before ending up in Harlem to pursue a BFA in jazz singing. Music and theater has always been a big part of her life - starting ballet as a 5 year old, moving on to gospel singing in middle school and falling in love with improve in high school. Here in New York she has gotten the chance to perform jazz in different venues and to develop her skills as an actor through musicals and physical theater. Her passion for education developed during her years in New York when saw the need for art based learning. She has taught theater and singing to children and adults in Stockholm, New York and Kampala, Uganda. Emily Baldwin is an arts educator/director/performer/puppeteer, with a focus on access and inclusion. In addition to working with Spellbound, she is also a Community Educator at the Children’s Museum of Manhattan and a teaching artist with Kaiser's Room and DOROT. Emily graduated from Northwestern University with a B.A. in Theatre with a certificate in Theatre for Young Audiences. While in undergrad she served as the Artistic Director for Seesaw Theatre and a member of Team Education for Purple Crayon Players. Margot is an independent puppetry artist in NYC. Her love of puppetry began when she did an apprenticeship in Málaga, Spain with Acuario Teatro. She is a co-creator, puppeteer, and cofounder of Double Image Theater Lab. She has studied with master puppeteers Ralph Lee, Landis Smith (U.S.), Diego Guzman (Malaga, Spain) and Norbert Goetz (Germany). Recent works: Thirst: Memory of Water (Jane Catherine Shaw, La MaMa ETC. ), African Drum (Sandy Robbins, Shadow Box Children’s Theater). She works as a teaching artist for The New Victory Theatre, American Place Theatre, and Acting Manitou Theatre Camp where she serves as a puppet choreographer, teaching artist, producer and builder for their summer shows. B.A. in Theater and Spanish (Dickinson College, 2004) and M.A. in Educational Theater (NYU, 2007). Christine Dehne ​is a Professor in Communication & Media at Manhattanville College, where she teaches video production, animation, app development, and computer graphics. Christine is currently the interim Dean of the School of Arts and Sciences and the former Director of the cross-disciplinary, reflection-focused Atlas program. An active multimedia artist, Christine’s work has shown around the world including shows in New York, Massachusetts, California, Tokyo, and Ontario. Christine holds a B.A. from Tufts University, a B.F.A. from the School of the Museum of Fine Arts Boston, and a M.F.A. from the University of Arizona. Christine has contributed to several Spellbound shows including Wink, Under the Tree, Before We Grew, Ears, Nose & Tail, and The World Inside Me. Haven is an Early Childhood Educator and artist living in New York City. 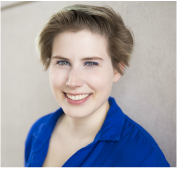 As a devising artist for Spellbound Theatre, she is excited to provide a space for uninhibited child-lead exploration, as well as an opportunity for caregivers to experience the novel and magical world of their little one. She is a co-creator of The Last Coin. WT McRae is a clown, mime, actor and circus educator. After training in theatre at Adelphi University, WT went on to teach ‘Theatre as Conflict Resolution” for the Bronx Arts Ensemble. He has performed school shows including ‘Peter and The Wolf’ for over 40,000 kids in 200 schools in the NY area. Off-off Broadway credits include companies like Boomerang Theatre Company and Oberon Theatre Ensemble. 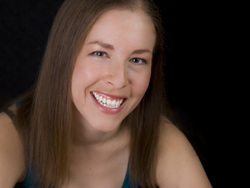 In 2006 WT joined with Christina Gelsone to form Fool’s Academy and bring shows that activate curriculum through clowning to Tri-State Schools. When he is not bringing his particular brand of comedy high jinks to school children he is probably teaching them. WT teaches circus and theatre for Sitka Fine Arts Camp, The New Victory Theatre, Circus Minimus and others. Lauren is an actor, improviser, dancer and clown. She is an alumnae of The New York Neo-Futurists, having performed regularly in their long-running show, "Too Much Light Makes the Baby Go Blind." She can often be spotted on your TV, either on a show or in a commercial. She loves to make fun things for small people. Melana is a native of Lafayette, Louisiana. Former Kindergarten teacher left the classroom to pursue her art. Off-Broadway: Soul Doctor, Klezmer Nutcracker. National Tours: The Color a Purple, Hairspray. Regional: The World Goes Round, Smokey Joes Cafe. TV: Boardwalk Empire, MTV. Love to all! Gyana is a NY based theater artist and teacher. She is currently a Teaching Artist at The New Victory Theater and facilitator for Healing Arts Initiative HAI, designing and teaching positive youth development programs for at risk youth all around New York City. As an artist she has a long trajectory as an actor, physical theater performer and storyteller, she recently founded Calendula Theatre Collective, a theatre company that uses mixed theatre forms and is dedicated to create beautiful work by women that speak about social issues and healing. Her most recent play Lloronas-Wailers was featured in a Dominican Festival for the Commission of Culture in NYC. She has also directed and devised theater for and with children: Camp Pressure, Hector, the Vain Hummingbird, Peter and the Wolf and Here in America. She also collaborates with other New York based artists to create original works for children and adults. She holds a MA in Educational Theatre in Colleges and Communities from New York University.